This letter, my dear Eliza, will not be delivered to you, unless I shall first have terminated my earthly career, to begin, as I humbly hope, from redeeming grace and divine mercy, a happy immortality. If it had been possible for me to have avoided the interview, my love for you and my precious children would have been alone a decisive motive. But it was not possible, without sacrifices which would have rendered me unworthy of your esteem. I need not tell you of the pangs I feel from the idea of quitting you, and exposing you to the anguish I know you would feel. Nor could I dwell on the topic, lest it should unman me. The consolations of religion, my beloved, can alone support you; and these you have a right to enjoy. Fly to the bosom of your God, and be comforted. With my last idea I shall cherish the sweet hope of meeting you in a better world. Adieu, best of wives—best of women. Embrace all my darling children for me. This is my second letter. The scruples of a Christian have determined me to expose my own life to any extent, rather than subject myself to the guilt of taking the life of another. This much increases my hazards, and redoubles my pangs for you. But you had rather I should die innocent than live guilty. Heaven can preserve me, and I humbly hope will; but, in the contrary event, I charge you to remember that you are a Christian. God's will be done! The will of a merciful God must be good. Once more, Adieu, my darling, darling wife. 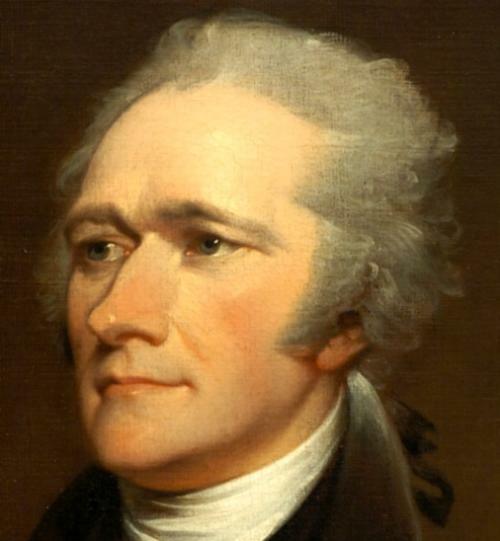 Hamilton died the day after the duel. He apparently fired intentionally to miss Burr. He was buried in the churchyard of Trinity Church in Manhattan.